In a nutshell: if you buy the standard package, you will not be getting Flash and Dreamweaver, and you get the standard version of Photoshop as opposed to the "Extended" version. [^1] - There is no 'Flash CS3 Basic' software; i.e. 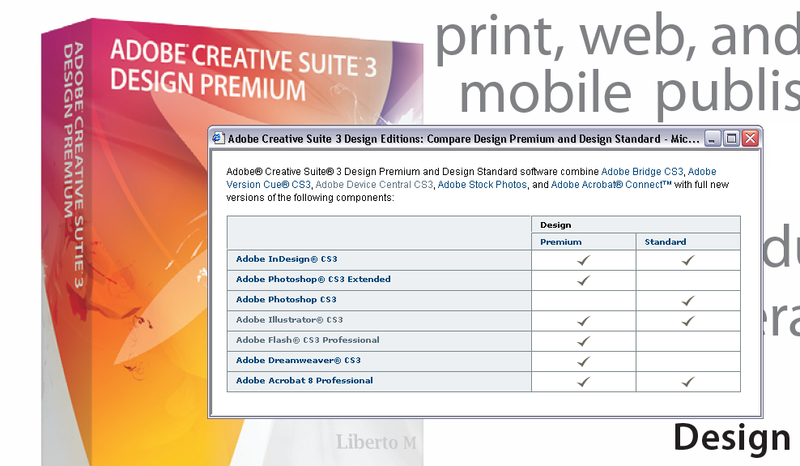 there is only one version of Flash in the CS3 release.